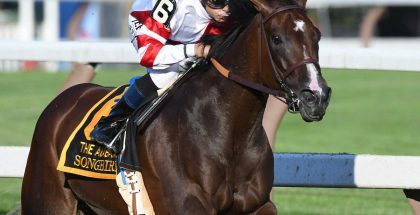 Songbird Remains Unbeatable in Santa Ysabel: Superstar filly Songbird remained unbeaten Saturday at Santa Anita as she cruised under a statuesque Mike Smith to a 3 ¾ length win in the Grade III, $100,000 Santa Ysabel Stakes. 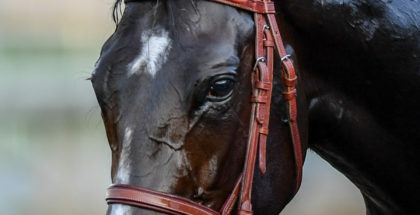 Trained by Jerry Hollendorfer and owned by Rick Porter’s Fox Hill Farms, Inc., the 3-year-old daughter of Medaglia d’Oro covered a mile and a sixteenth in 1:43.02 and, according to Hollendorfer, now has her sights set on the Grade I, $400,000 Santa Anita Oaks on April 9. “I don’t take anything for granted,” said Hollendorfer. “I’m very grateful to win a race like this. I didn’t want to work her into the (Santa Anita) Oaks. I wanted to have a prep and we got the prep today. Overwhelmingly favored in a field of nine sophomore fillies at five cents on the dollar, Songbird paid $2.10, $2.10 and $2.10. 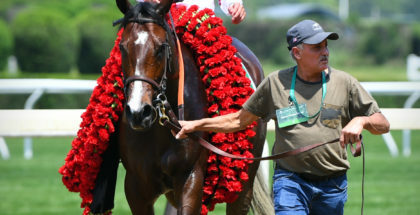 With a staggering $823,407 bet to show on her, Songbird accounted for a minus show pool of $158,463. There was $75,897 bet to place on her, creating a minus place pool of $4,900.00. 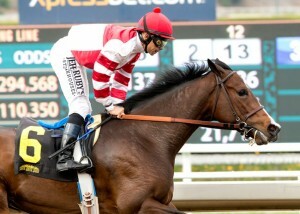 Breaking from post positon five, Songbird was hustled to the lead by Smith, who got early pressure from longshots Jade Princess and Not Now Carolyn, but began to inch clear leaving the half mile pole and seemed to hit another gear around the far turn. The Eclipse Champion 2-year-old filly for 2015, front-running Songbird is now unbeaten in six starts. 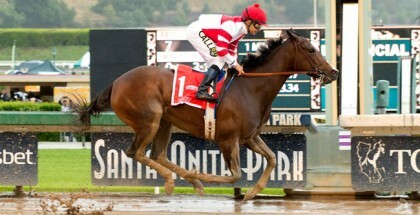 With the Santa Ysabel winner’s share of $60,000, she now has earnings of $1,742,000. Ridden by Mario Gutierrez, Land Over Sea rallied well for the place, finishing 3 ½ lengths in front of Mokat. The second choice in the tote at 13-1, Land Over Sea paid $3.80 and $2.60. Ridden by Flavien Prat, Mokat was off at 42-1 and paid $5.40 to show. Fractions on the race were 23.20, 46.02, 1:09.98 and 1:36.09. First post time for a nine-race card at Santa Anita on Sunday is at 12:30 p.m. Admission gates open at 10:30 a.m.